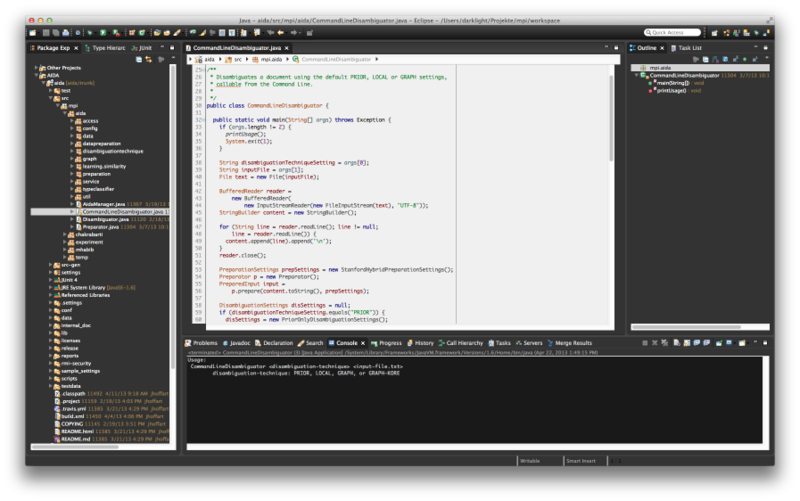 Eclipse with DarkJuno theme and a black-on-gray editor. Install the DarkJuno theme for a full Eclipse makeover (works with Eclipse 4). Install the Eclipse Color Theme plug-in. Download and unzip eclipse-white-on-gray (based on Coding Horror v2 with the background modified to be a darker gray and other minor color adjustments). Import the unzipped color theme into Eclipse.